Point Breeze is a South Philadelphia neighborhood bounded by Washington Avenue to the North, Mifflin Street to the South, Broad Street to the east, and 25th Street to the west. Directly adjacent to Point Breeze is Graduate Hospital (SWCC) to the north and Passyunk Square to the east. Point Breeze has seen an influx of development and revitalization within the last ten years. The neighborhood has the distinction of being named “Philadelphia’s Hottest Neighborhood” for 2017 by Zillow. 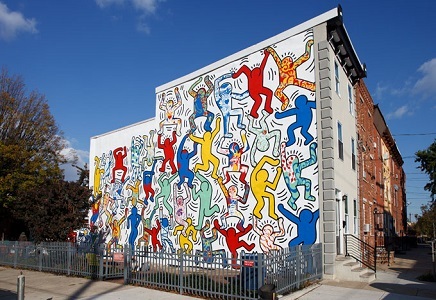 The neighborhood is home to many Philadelphia Mural Arts program murals including one created by renowned artist Keith Haring in 1987. Public transportation via the Septa Broad Street Line and buses make for convenient travel into Center City. The median sales price per home is currently $259,000 with a price per square foot of $216. The median rent per month is currently $1,400. These prices are speculated to rise with the amount of development occurring in the neighborhood. The James ‘Right’ Price team’s real estate acumen can find your new home in this rapidly developing neighborhood, ensuring that you don’t miss out on this opportunity to live in one of Philadelphia’s hottest neighborhoods.